This past week was a bit difficult. It was my first week following the Weight Watchers Online program. I use the term "follow" loosely. It was more like I was getting reacquainted with the program. I mentioned before that I followed the WW plan before. It was much easier to keep within my points when I was working. Food wasn't always readily available at work like it is at home. I weighed in this morning. I was dreading it. I knew it wasn't going to be a big loss and thought it might even reflect a gain. I lost .6 - not even a full pound. I didn't let it bug me, since I'm happy it wasn't a gain. Note: the ticker above will change as I lose or gain each week. Like any diet lifestyle change, I need to remember that it doesn't happen overnight. Last week, I made a lot of mistakes. I need to learn from them and improve over time. I can do this. I will do this. I want to post about my mistakes. Not to make excuses, but so I can come back and read and use these posts to help me along the way. One of my mistakes last week was getting a Blizzard from Dairy Queen on Miracle Treat Day. I know I can have a Blizzard, I just should have gotten the mini blizzard instead of a small. The biggest of my mistakes last week, was ordering a regular sized Sonic Burger instead of the Jr. Burger. I figured that it would be both my lunch and dinner and thought I had enough points to cover that AND an order of tater tots AND a LARGE Blue Coconut Slush. Boy, was I wrong! I need to remind myself that I can have these things, but in smaller form. I remember from my old Weight Watchers days that eventually, a kids meal is enough food to satisfy me when I am in the mood for fast food. I don't always have to "super-size" everything. Last week wasn't ALL mistakes. There were a some good points as well. I ate more fruits and veggies last week. We walked after dinner a couple nights. I drank lots of water (better in the beginning of the week than the end of the week). The biggest success last week, was avoiding soda. I only had one glass of Diet Pepsi last week. That is a HUGE success for me! To make avoiding soda even more challenging, Joe found Pepsi Throwback at our local grocery store last week. He bought 6 bottles. Pepsi Throwback is my absolute favorite and even with an open bottle in the fridge, I didn't have any! People who know me in real life will know how much of a non-scale victory that is for me! Now, don't get me wrong, I will be drinking some of that Throwback Pepsi, but I will drink it in moderation. Especially since it's not diet! I'm hoping this week will be easier. I'll be sticking to basics again this week. If you want to read more about weight loss and getting healthy, follow me over to "How To" Homemaker's Healthy Living blog post. I DO know that the non scale victories are way big!! Nice job on the soda! Now that's you're aware of the fast food issue, you know how to avoid it. It's the denial that gets people or just not looking at the stats to figure it out. Good for you!! Keep it up! Agreed, non scale victories are big because they lead to scale victories. You're doing great, this stuff is hard! I try to take one day a week to not think about it. I eat whatever I want and don't feel guilty. The longer I eat well, the less junk I crave on those days. Keep up the good work! Hi Alison, Congrats on the .6 weight loss. I'm at a standstill once again. We had hoped to go to WW but life got in the way just before meeting time so we plan to start this week. 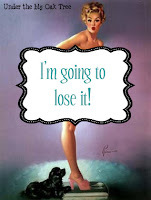 It is really frustrating because I TRULY want to lose the weight. Thanks for joining up last week and hope you will stop by again this week and let us know how you are doing! Not sure if you got my last omment a couple of days ago, but I wanted to update you that Mike and I started WW last night. I'm anxious to see my progress after my stalled time. (I will be highly disappointed if the scale doesn't move this week) Cheering you on too!